Here are the certificates I received for three awards that made me eligible for the Triple Crown Award. Only the first two, ACG and ALB (from the old Toastmasters program) are hardcopies sent through the mail. 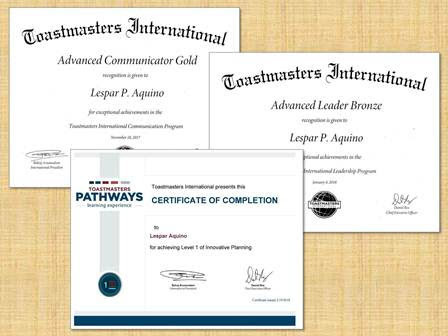 The Pathways certificate, Innovative Planning Level 1, was saved by me from the website. 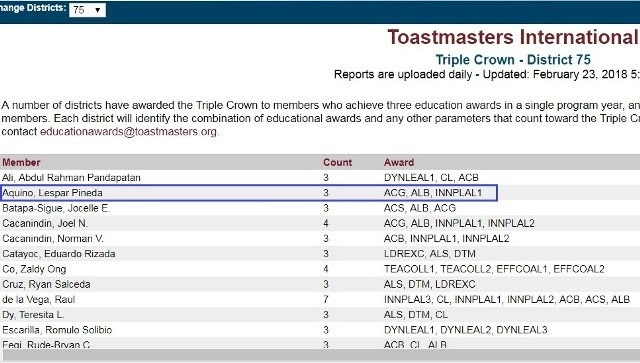 For the first time, in my Toastmaster experience, I'm receiving a Triple Crown Award. I've not given attention to award any attention until recently when it was mentioned in our club FB chat group. 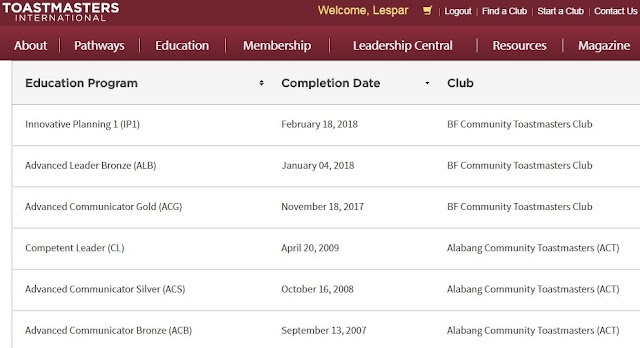 Before this, I only took note of the usual Communication and Leadership awards like the CC's and the CL's. "The Triple Crown Award is earned when a member earns three separate awards within one Toastmasters Program Year (July 1 - June 30.) The Triple Crown is a district sponsored award, each district designates the specific requirements needed to earn the Triple Crown in their district. I recommend reaching out to the Program Quality Director for additional information and clarification." I do wonder why the need to "reach out to the Program Quality Director..." when TI's records are automatically updated. Here's the report that says I'm qualified for the Triple Crown Award. You do need to input the correct District Number. Ours is 75. The top 3 on the list shown below are the recent relevant awards I received qualifying me for the Triple Crown Award. 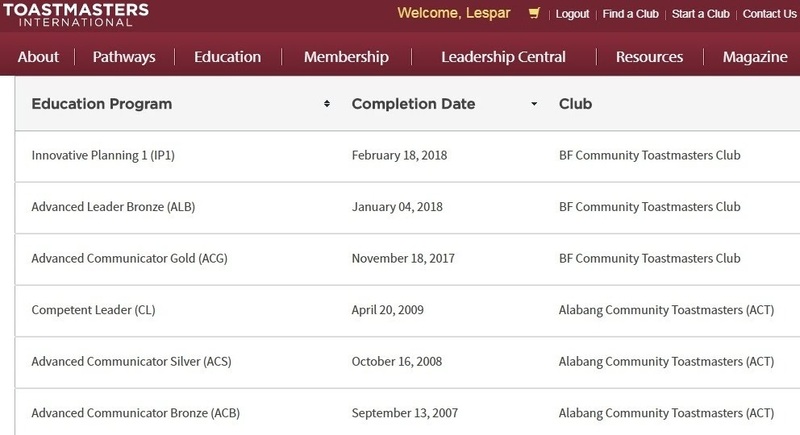 It shows the awards' completion dates, as well as the club where the awards was received.